In 2010, Professor Tim Allen attacked the BBC’s “misleading” and “misinformed” coverage of Uganda in a Newsnight documentary. Kris Gulati revisits the battle between anthropologists and public broadcasters. 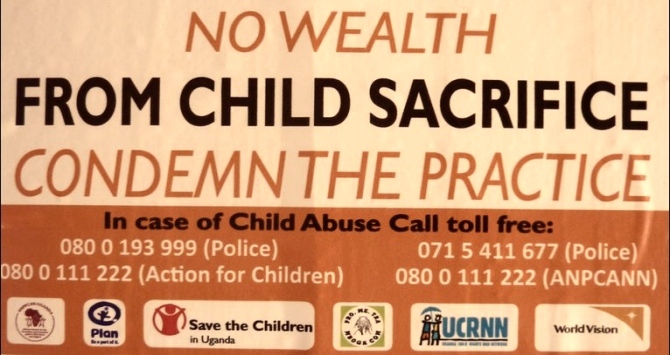 In 2010, the BBC released this documentary claiming that child sacrifice was widespread throughout Uganda. It created uproar among British anthropologists from a wide number of institutions, who queued up to challenge the purported “facts” reported in the programme. Numerous academics corresponded with the reporter, Tim Whewell, and posted their response online. Adam Kuper and Tim Allen (LSE) both called for the same rigour to be applied in acquiring evidence from other countries as would be the case in the United Kingdom. “Our media should treat them with the same care as stories of child abuse in religious communities in Ireland or Jersey or the Orkneys,” said Kuper. Uganda expert Tim Allen, who has found no evidence of widespread child sacrifice, also stated that “the same standards of journalism that apply in the UK should also apply to Uganda”. The documentary was accused of appealing to British audiences because of the ‘primitive’ and ‘exotic’ culture of Uganda it depicts and a widespread lack of knowledge about the country. Among the numerous examples of poor execution, Whewell showed the audience a liver in a pot, making the unsubstantiated claim that it was likely human. The same discovery in the United Kingdom would warrant an immediate police investigation. So why did this ‘evidence’ end up in the hands of journalists rather than the authorities? It was this sort of absurdity that prompted Tim Allen to contact Peter Rippon (the producer of Newsnight), describing the coverage as “both misleading and misinformed”. The documentary did not demonstrate any viable evidence for child sacrifice, despite suggesting that “there must be mutilated bodies of children all over the place”, Allen said. These events are, literally, a matter of life and death. They are not appropriate for exotic diversions on a flagship news programme. There was equally widespread complaint at the language and terms the BBC used to describe people. In particular, many scholars took umbrage at the term ‘witch-doctor’, which, they complained, was manipulated and used without nuance. It is [also] singularly unhelpful to use the term witchdoctor in such a generalised way, muddling it up with diverse beliefs about spirits and the equally diverse practices of local healing. Moreover, later events suggest that the evidence used by the BBC report was, in fact, highly tenuous. The most severe example was a man interviewed in the documentary, Pollino Angela, who stated afterwards that he was paid by Whewell to provide false information. Pollino would later be arrested by Ugandan police after the report was broadcast. A report in New Vision published on 8 February 2010 said the police had dismissed his claims of sacrifice, accusing Pollino of telling the BBC “a pack of lies”. The capriciousness of the principal witness in this case casts inevitable doubts upon the veracity of many of the documentary’s assertions. The documentary quite clearly struck a nerve, with numerous British academics believing the documentary to be of poor journalistic standards. However, the BBC stood firm in its own defence. I believe that the media in general – both in what they choose to report and what they fail to report – often get it wrong. But I believe that in this case we got it right. I fully anticipated the kind of criticisms that you and some of your colleagues have made. But I think it does Ugandans no favours to ignore crimes that they are suffering from, and that they themselves are battling – on many levels, to end. To deny, or ignore, those crimes would implicitly be, in my opinion, to suggest, wrongly, that Ugandans were less horrified by them than people in other places might be. In response to Whewell, Professor Allen refused to make allowances for profession, warning about the severe consequences of sensationalist reporting in sensitive areas. You say you are a journalist, not an anthropologist, but is that really a good explanation? The criticisms I made were about poor journalism… With respect to anthropologists or other scholars, why not talk to them about these things? There are several who have worked on this kind of murder. They would certainly help you gain a more adequate perspective on your information. Like Peter Rippon, you suggest that I, and others, have denied that such crimes occur. Why? I have explicitly stated the opposite, and I am unaware of anyone else who has asserted that ritual murders do not occur. The points I made were that they have occurred in many parts of Africa and have been reported for decades. They occur in batches, and they are linked to mass panics and sometimes violent witch-cleansing. Your report implicitly encourages the latter. Allen also refused to accept the BBC’s downplaying of criticism from British academics, while condemning the ‘Harry Potter’ version of the story that featured on radio. You seek to dismiss criticisms by suggesting that they are not coming from Ugandans, but only from ‘British-based anthropologists’. It is hardly surprising that people in the UK who work on Africa should complain, given that Newsnight is shown in Britain. That is also the case with respect to the Harry Potter version of the story told on BBC Radio. I have had some communication with Ugandans about the broadcasts, but they had not seen or heard them. In any case, most Ugandans would not know how to send a complaint to the BBC. I might also add that there is certainly a market for such reports in Uganda. That is why the Red Pepper newspaper is popular among some people in Kampala and other big towns. But that is not a reason to emulate it. Most Ugandans do not read Red Pepper, and have a high regard for the BBC, mainly because of the World Service. With that comes responsibilities. The exchange revealed additional evidence and subtext that had not featured in the documentary, making Allen’s charge against the BBC one of poor execution rather than deliberate misleading. You have [also] provided some facts as you understand them, and have made reference to some evidence. Why not do the same thing in the stories that you broadcast? That is what would happen if you were reporting on the UK. When it comes to Uganda, you both seem to think that, because there is evidence and things that can be assessed to be facts, it is not necessary to explain this. Rather it becomes acceptable to play on popular stereotypes and elaborate events with rumour, hearsay and children’s fiction. For Ugandans, these are – literally – matters of life and death. An overriding issue of concern is that a very real problem – a large number of children disappearing – was overlooked in favour of a story substantiated by bizarre rumours. It furthers the argument that much more could have been achieved had the producers contacted academics who are well acquainted with Uganda. Many anthropologists remain willing to share their knowledge and guidance with the BBC, should it come knocking. Rather luckily for the broadcaster, though, it seems to have escaped further condemnation on this occasion with the critique remaining confined to academic circles and those with in-depth knowledge of Ugandan affairs. Wow, really informative! It would be quite interesting to see what is happening more recently in Uganda? Great post Mr Gulati. I expect to see another article shortly!